The department endeavors to provide highly qualified faculty members and non-teaching staff members in all disciplines. Faculties at our institution strive to disseminate knowledge in students through eminent and fundamental practices. The highly qualified distinguished mentors deliver knowledge of diverse specialization in learners through engaging teaching techniques. Academics sessions are facilitated with valuable cognitive enhancement activities enriching overall educational experience. Our staff members have actively involved themselves in Research activities and their experience carves students interest to mould their technical knowledge in various fields. 4 B.Senthil Kumar Assistant Professor Gr-II M.E. 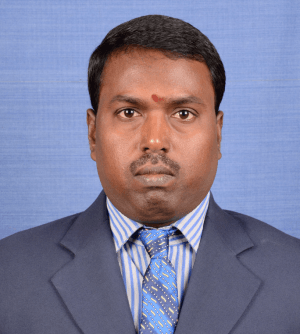 5 V.Prabhu Assistant Professor Gr-III M.E.